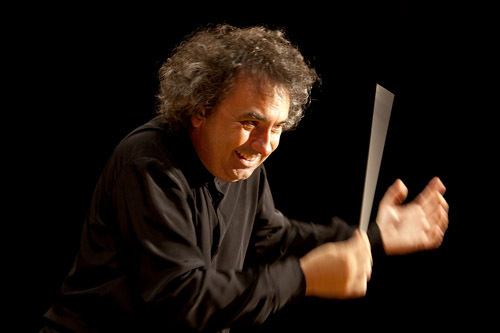 Jérôme Boudin Clauzel is an accomplished musician and multi-talented artist: orchestra conductor, pianist, choir master and composer. Over the last few years, his love of singing and opera have led him to direct some of the masterpieces of the operatic repertoire: La Traviata, The Magic Flute, Rigoletto, Nabucco, Carmen, Belle Hélène and The Musketeers at the Convent among others. He also is a much sought after music composer in the audio-visual industry. He regularly composes original music for religious programs on France 2, a national ench television channel, cartoons, and various short films and documentaries. In 2007, he co-wrote the original soundtrack for the French film "Ill Wind" by Stéphane Allagnon. Jérôme Boudin Clauzel has a degree from the Regional Music Conservatory in Saint-Maur-des-fossés and from the Louis Lumière National Film Arts School. Combining his orchestra conducting and choir directing, he has also directed major sacred works (with the Saint-Louis of Vincennes choir among others): Beethoven's Mass in C Major, Mozart's and Fauré's Requiems. He is currently directing the conservatory choir at Moissy-Cramayel and the vocal ensemble Mélichoeur. 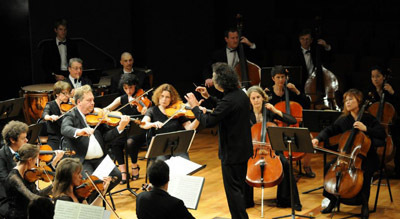 He collaborates regularly with the symphonic orchestra of Bulgaria, the Renouveau Lyrique orchestra, Opera Sinfonia, and the Opéra des Landes and he created the Orchestra Les Miroirs in 2016.